Have you been staring at those under eye bags, puffy eyes, fine lines and wrinkles around your eyes? Staring won’t solve your problems but perhaps, Deravera Eye Cream will. 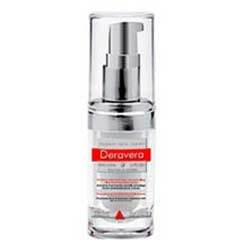 At $70 for every 80 ml bottle of Deravera Eye Cream, you can be actively solving your skin aging problems. While the product seems expensive, the manufacturer is very confident about the formulation that it is recommended for you to use only a pea-size amount to derive the maximum benefits from this product. One bottle should last you for several months. Deravera Eye Cream promises to help improve signs of aging on skin around your eyes, and primarily improving the appearance of puffy eyes and dark under eye circles. The product lightens dark under eye circles and helps firm up skin around the eyes, in turn, making fine lines and wrinkles less visible. 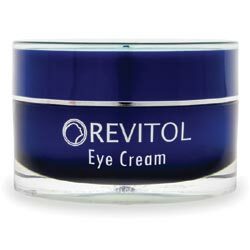 How Does Deravera Eye Cream Work? Deravera Eye Cream is made with HexaBright-3, a proprietary ingredient that props up skin hydration to improve the appearance of dark under eye circles. This ingredient is complemented by natural skin moisturizers — water, aloe vera and glycerin — and powerful antioxidants derived from all natural sources. HexaBright-3, a proprietary formula that hydrates skin so that skin’s ability to treat dark under eye circles is activated and powered up. Aloe vera, closely resemble the skin’s natural protective barriers. It aids in skin repair and renewal but also, in restoring the skin’s natural protective layers to shield skin from further damage. Hydrolyzed Wheat, contains proteins that have been derived from wheat having gone through a long process of hydrolysis. The end result being a heavy molecule of wheat protein that can penetrate skin so that moisturization is released deep within the skin. Natural extracts and vitamins, which increases the skin’s supply of antioxidants which works two ways — to aid in skin repair and restructuring, and to protect skin from the skin aging and damaging effects of free radicals. Aloe Barbadensis leaf, Hydrolyzed wheat, Aqua, Methyl Chalcone, Sorbitan olivate, Grapefruit, Themobroma cacao nucifera oil, Bearberry, Algae extract, titanium dioxide, Sesame seed oil, Yeast extract, Licorice root extract, Vitamin E, vitamin C, Vitamin A, Stearic acid, Glycerin, Green tea, and Cucumber. Use Deravera Eye Cream twice daily. Cleanse skin thoroughly. Follow up with a toner then, apply Deravera Eye Cream with bare, clean fingers, take a pea size amount of the cream and apply on skin. Gently massage in the product and let it seep in for a few minutes before applying your other skincare products or putting on your cosmetics. Use only as indicated. Take care not to put product in contact with your eyes. Some people may be allergic to wheat and sweet almond oil which Deravera Eye Cream is infused with and therefore, may manifest allergic reactions to this product. To test for allergies, perform a patch test and leave the product on a small patch of skin overnight. Check for any signs of irritation and allergy when you wake up the following morning. If you don’t observe any negative skin reactions, apply product but if you do, do not use again. 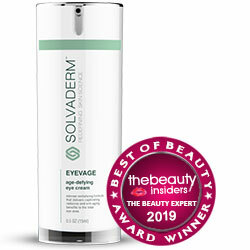 Who can use Deravera Eye Cream? Men and women with mature skin may use this product. Deravera Eye Cream is made from ordinary skincare ingredients. Though it lists HexaBright-3 as an active ingredient, there is very little information made available about how it works. Manufacturer information also makes problematic, the accountability for all product claims and guarantees. That said, it may be good to review other products but, if you’re convinced Deravera Eye Cream may deliver the results you need then, go ahead and try it.